Black Pistol Fire is a Canadian Rock and Roll duo that split’s time between Toronto, Ontario and Austin, Texas. Their wild and energetic rock-and-roll sound has been described as a mix of classic southern rock and garage punk, garnering comparisons to early Kings of Leon, Creedence Clearwater Revival, The White Stripes, and Clutch. It's clear that the band's sound spans many different eras and subgenres, relying on a classic rock and roll sound that has been updated for our modern times. Black Pistol Fire features Kevin McKeown on Guitar/Lead Vocals and Eric Owen on Drums. The two have been friends since kindergarten and began playing music together when they discovered a shared passion for rock and roll music in high school. The two became founding members of rock and roll trio The Shenanigans. With The Shenanigans, they recorded an LP titled Bombshell Baby. After things with The Shenanigans and Toronto got stale, the two wanted a change of scenery and to try out something new. They then packed up their instruments and a bag of clothes and headed south. The band finally settled down in Austin, Texas in 2009 and Black Pistol Fire was born. Arriving in Austin, the two began rehearsing as a duo. While they had previously done this to write songs for The Shenanigans, there was one crucial difference this time around: there would be no bass to be added later. They soaked up all that the Austin music scene had to offer, and their music developed a more distinctive "southern" sound. Like every good band, they lived in poverty and survived off a steady diet of potatoes while rehearsing, writing, and creating new material in a garage they had rented. While playing a local Austin hotspot, Producer Jim Diamond (The White Stripes, The Von Bondies, Jon Spencer Blues Explosion) approached the band about recording their next record. That album was recorded in 2 separate sessions, mainly off the floor, on to 2” tape. 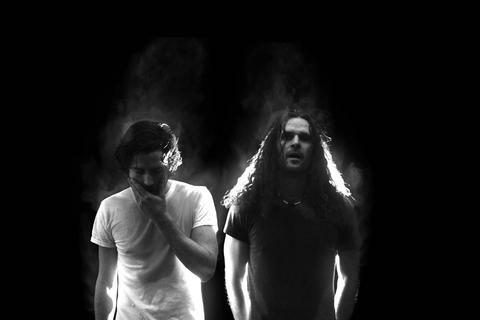 The LP, simply titled “Black Pistol Fire” was released in February 2011 in select record stores in North America, at live shows, and worldwide through ITUNES. The LP garnered a positive critical response from publications such as the Austin Chronicle, Pop Music Matters, and the Houston Press. The LP received radio airplay on over 100 radio stations in both Canada and the US as well as being featured on Chorus Radio’s Explore Music and the Ongoing History of New Music. Both programs are hosted by Alan Cross and syndicated all over Canada. The band has also seen their music used in television shows such as 90210, Hawaii 5-0, Suits, WWE RAW, Sons of Anarchy and The Protector as well as being featured in adds for Pepsi Canada and Braun Shavers in Europe. Throughout the year, they have been touring the USA and Canada, completed a successful European tour, as well as playing festivals such as SXSW, and Headlining Rock the Republic, and Mr. Fest. The band recorded their 2nd LP in the early 2012 with producer Michael Rocha in Toronto. This album "Big Beat 59" was released in August 2012, with songs with the album being put into rotation on major taste-making radio stations KEXP, KCRW, KUT, and KDHX. As a pre-cursor to the album, the band also recoded the 5 song EP "Shut-up!" a tribute to Little Richard, which was released in May 2012. The band has crossed the country promoting the LP including opening slots with Band of Skulls and a tour with State Radio this coming fall including a stop at New York City's famed Webster Hall. Black Pistol Fire didn't waste anytime when not on the road and recorded the follow-up to "Big Beat '59" in the fall of 2012. Once again the album, currently untitled, was recorded in Detroit with Jim Diamond. The album has a tentative release date of Jan 2013, with many labels and sponsors interested in being part of the release. Things just keep on picking up!